« Nobel Laureate’s IQC lectures now online! A confession: until I met Jacob Biamonte, I had scarcely heard of “tensor network states.” To me, a “tensor network” sounded more like an exercise machine using elastic resistance. Not even close! Thankfully, Jacob is a patient and knowledgeable teacher on the subject. 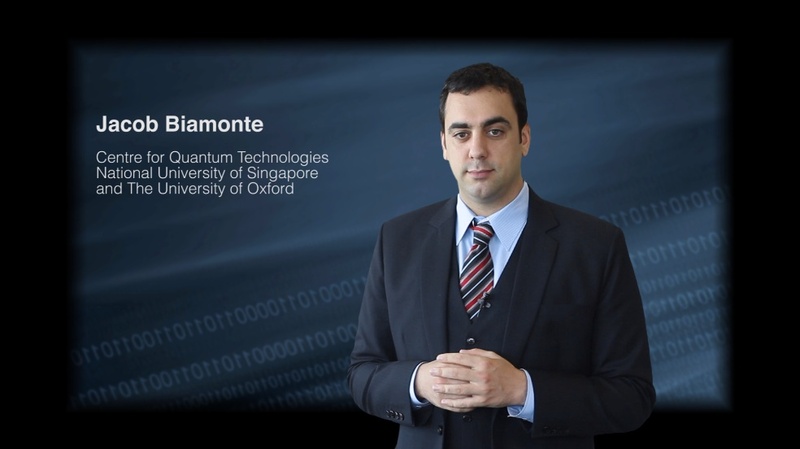 Though he is based at the National University of Singapore’s Centre for Quantum Technologies, Jacob spent several weeks visiting IQC, during which he delivered a four-part lecture series about tensor network states. Jacob acknowledges that the subject matter is tricky, and that his lecture series might seem a tad intense for a newcomer to the subject. So we recorded the introductory video below, in which he lays out the key themes and ideas of the series. Once you feel ready to dive right in to the realm of tensor network states, Check out the full lecture series. You can also find lecture notes and problem sets here.